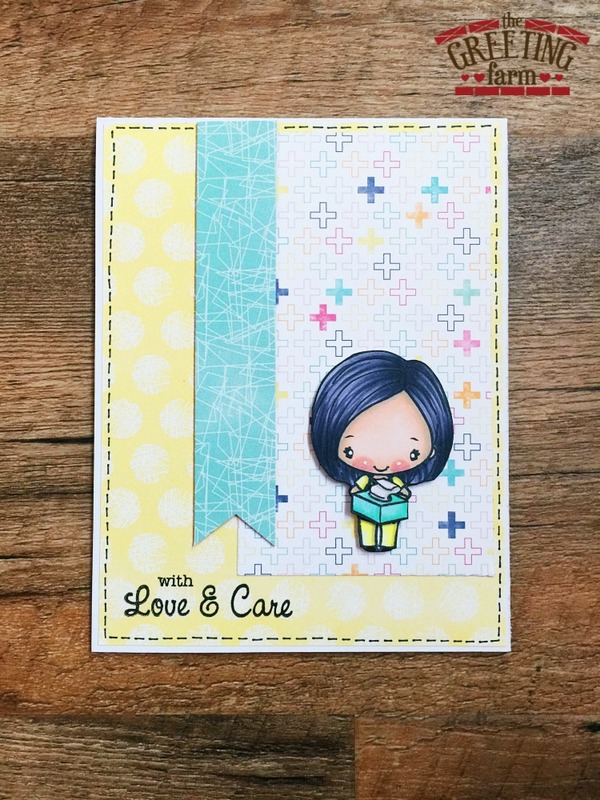 Inky Fairy Designs: The Greeting Farm January Release Preview - Get Well Soon! The Greeting Farm January Release Preview - Get Well Soon! Here we are, our last day of January previews for The Greeting Farm and today we're showcasing a brand new clear set called Get Well Soon. 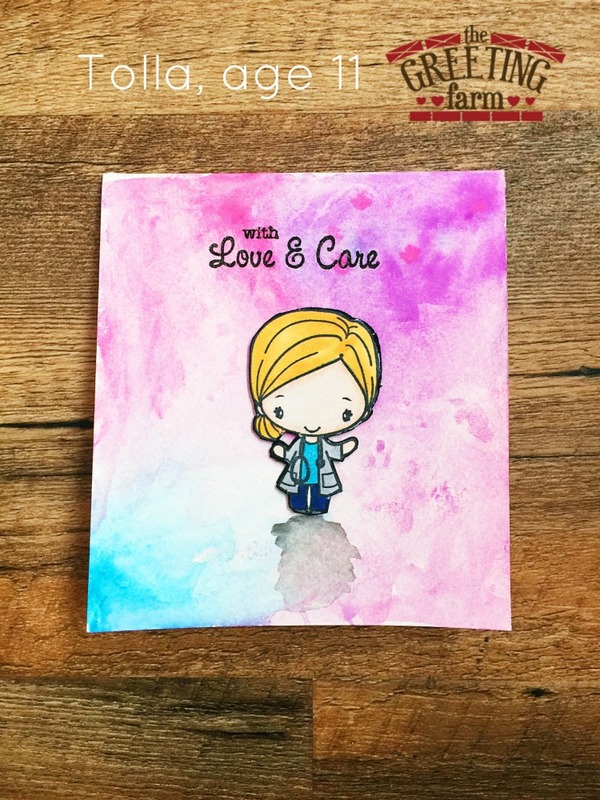 This set is absolutely adorable for making all of your get well cards as well as cards thanking our caregivers. I absolutely adore that we get 2 Anyas and 2 Ians! 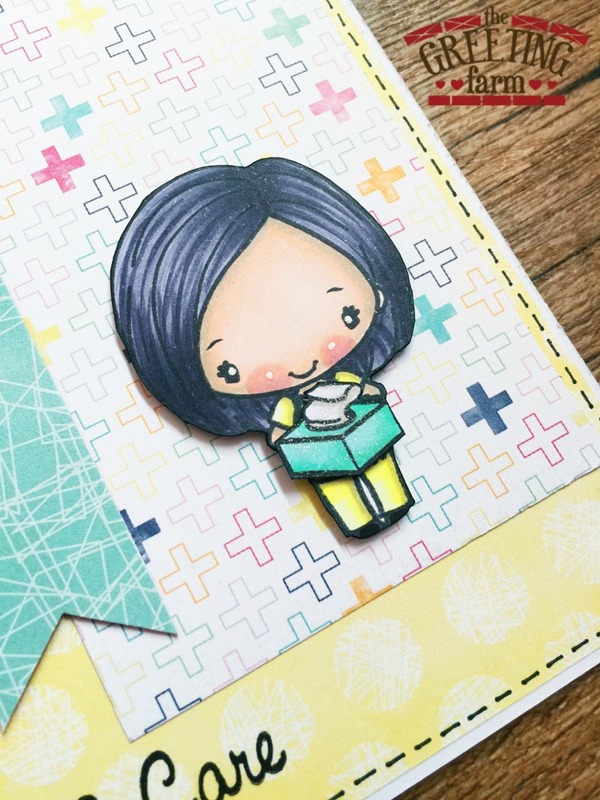 I colored up my little nurse with Copic markers today and kept my card clean and simple. Can I say how much I will be happy when I have access to my Big Shot and dies?! I feel like I'm crafting in the dark ages over here. haha She looks so cute holding that little box of tissues ready to take care of you. I added a bit of Clear Wink of Stella just to give it a little pop. Some of my favorite dies are the ones that add that faux stitching so I went ahead and did some faux stitching of my own on my card. Not as pretty as the dies, but I like the way it turned out. I have two girls that love stamping and coloring with me so today I'm so excited to have my oldest joining me on the blog today. She began by creating her background with watercolors and then colored her image with Copic markers. I'm in love with her background and that drop shadow! Seriously, amazed. I would love it if you would also leave her some love today that I can share with her. Don’t forget, we will have a New Release Blog Hop on the 15th, where 1 lucky winner will receive... all 3 sets! For more inspiration with this cute set, be sure to head over to The Greeting Farm Blog to see what the rest of my teamies on the farm created. Your card is so sweet! And so is your daughter's. I wish my daughter would craft with me (she thinks I'm obsessed - we all have some kind, right?). TFS! 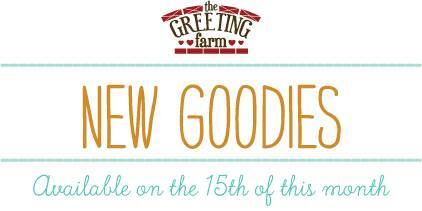 The Greeting Farm January Release Blog Hop!